Pressing the flesh: rare, medium or well-done? 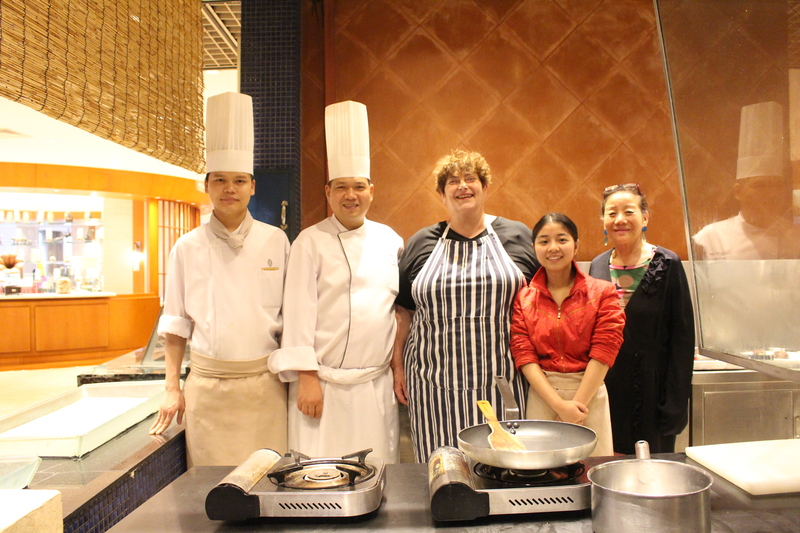 Two young blind masseuses spent an afternoon with the top Intercontinental chefs and me in Chongqing, China. 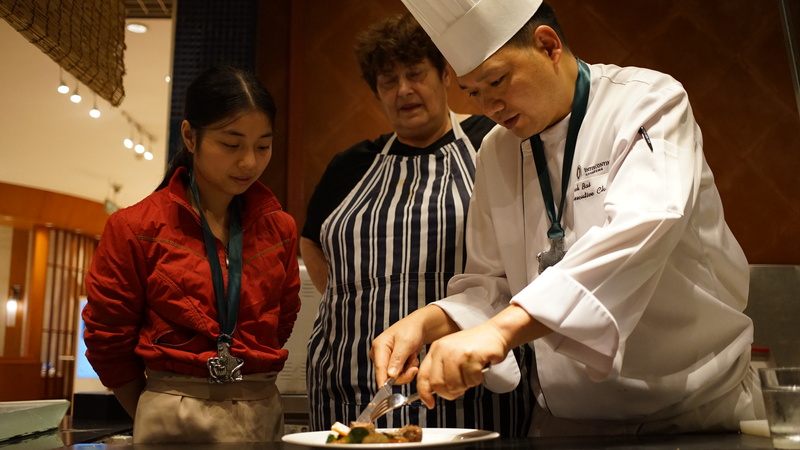 We were all trying to learn from each other: some basic cooking, Chinese medical massage and living with blindness. Head chef Jack taught us to use our sense of touch to test how well a beef steak is cooked (https://youtu.be/BvIuYBQwehI). This very simple professional tip is perfect for blind people anywhere – and anyone else too. During our time in the city, I learned that other blind people weren’t very obvious. Perhaps they don’t get out much or perhaps they tend not to use white canes. Either way, my videographer Toby didn’t spot many during our stay in the world’s largest city with a population of about 37 million. 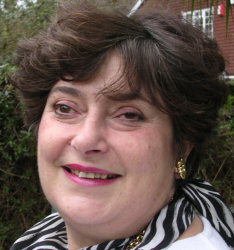 There would have been many citizens with different levels of visual impairment arising from all the conditions that are recognised world -wide: many would be age-related, others linked to past malnutrition in this country of massive economic growth. Medical massage is a key work opportunity for young people who attend the local blind school to gain the necessary qualifications. They then practice in a massage clinic that is also their home. The patient couches become their beds at night and an “auntie” comes in to cook their meals. Living and working in the same place obviously has lots of advantages but possibly less chance of learning how to cook. My thanks to the Rotary Club of Chongqing for bringing us all together as part of their initiative to support local visually impaired people. 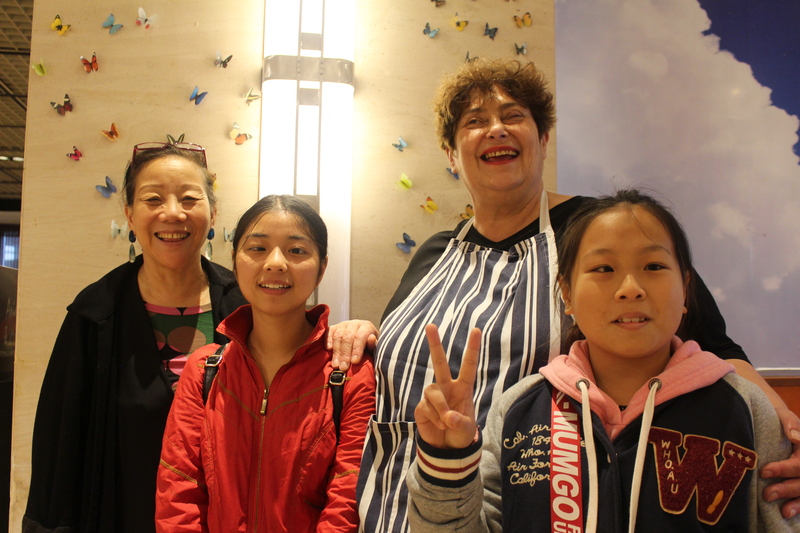 Like me, the blind girls probably hadn’t had much time in a professional kitchen in a prestigious hotel but we all managed to enjoy the opportunity together rather than being over-awed by the location. The two girls quickly learned from Jack. He’d probably also had very little experience of blind people in his kitchen but was wonderful with all three of us: patient and empathetic, caring and courteous. I just stood back while the rapport developed between him and the blind girls: they were all completely immersed with their experience of each other. 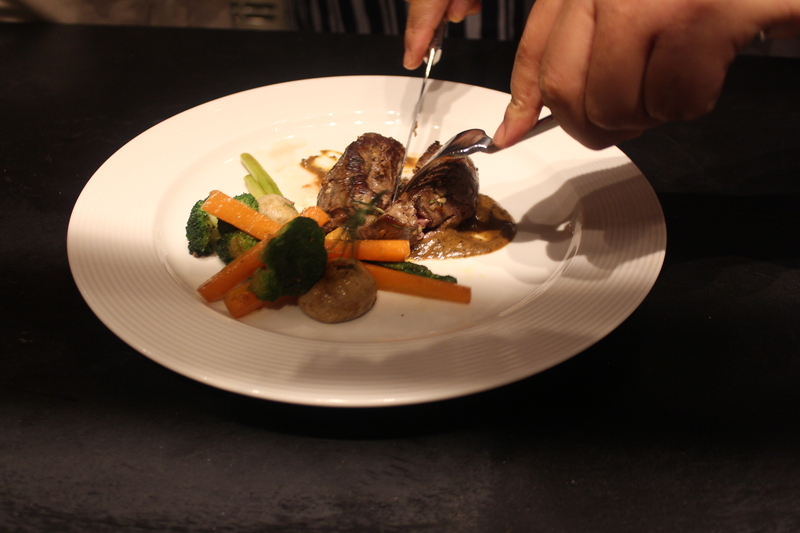 For the beef dish, Jack showed Wan Lin a safer way of handling her knife and how to toss the pan of vegetables. Alongside, we had Julia and food and Beverages Manager, Sam, both translating plus Toby shooting video and a small audience. From this chaos Jack still managed to produce an excellent dish – what a professional! And the trick with steak: the muscle at the base of your thumb becomes harder as you fold your thumb and fingers: thumb only – rare; two fingers folded- medium; three – well-done – but the video explanation is probably easier! Next time, we use taste to refine a simple salad. ← Tofu or not Tofu, that’s the question.